A long time ago Ben found on old dresser dumped in the parking lot of his office. He hauled it home and we turned it into a raised bed for carrors and radishes. It is filled with a mixture of potting soil, compost and sand and we've been very happy with the results. 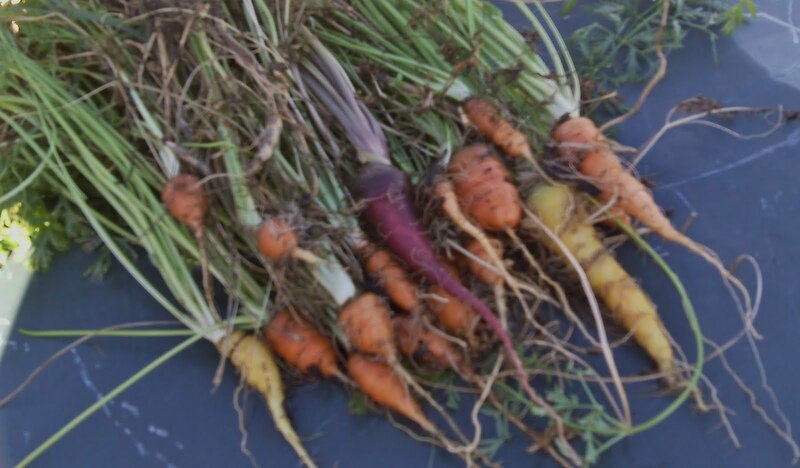 This month we are harvesting a mixture of baby carrots, including chantenays, oxhearts, Paris Market, and Dragons- the beautiful crimson colored carrot. 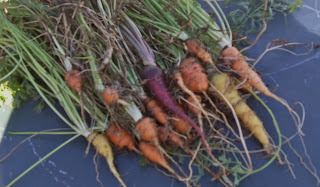 Nothing goes to waste from this raised bed- the hens love eating the carrot tops.